Look who is knocking! Oh! That’s summer. Now that this season is finally here, the temperature is going to rise high and the days will become even prolonged. However, even if the sun is scorching hot out there, it shouldn’t give you any reason to plunge your fashion game. While it may become a bit tricky to find the right kind of clothes that would channel the most badass and gorgeous diva inside you, it is surely not impossible. After all, there are many wonders that a skirt and a tank top can do, isn’t it? And apart from it, there are several other ideas that can help you make a fashion statement of your own. So, with the summers approaching, up your voguish game and showcase the elegance in you. Here are 5 simple ways that will help you make a fashion statement. Considering the number of fashionistas or fashion-connoisseurs present on the internet, it would not be difficult to list down the names of people who charm you the most with their fashion skills. In such a scenario, have a look at some of the profiles managed by influencers of the fashion industry so as to figure out what you dislike and like the most. Once you have explored their profiles, find out what do they have in common. Most probably, aspects that you will find the most common will be the ones that would resonate with your taste to a great extent. And hence, you would be able to contemplate and ponder on the good factors that would help you make your own fashion statement. There is no denying the fact that fashion ethics change with the blink of an eye. Anyhow, when talking about summers, it would be necessary to stuff up your winter collection somewhere else and decorate your wardrobe with anything that can make you look like a diva. Take some time to figure out the clothes that you don’t like anymore or the ones that would not get any affirmation from the fashion police for at least a few years now. Dispose them and go shopping. Refine and rebuild your wardrobe with a style that delineates the quirky and chirpy you. The fact that people are unable to see the size tag of your dress should not compel you to get either the tighter or the loose-fitting clothes. The key is to appear out to be a confident young lady. And, it would be way too difficult to swoon people down their feet with your confidence unless you are not comfortable in your clothes. So, ditch the smallest size available in the store and admittedly, take the one that makes the most comfortable. 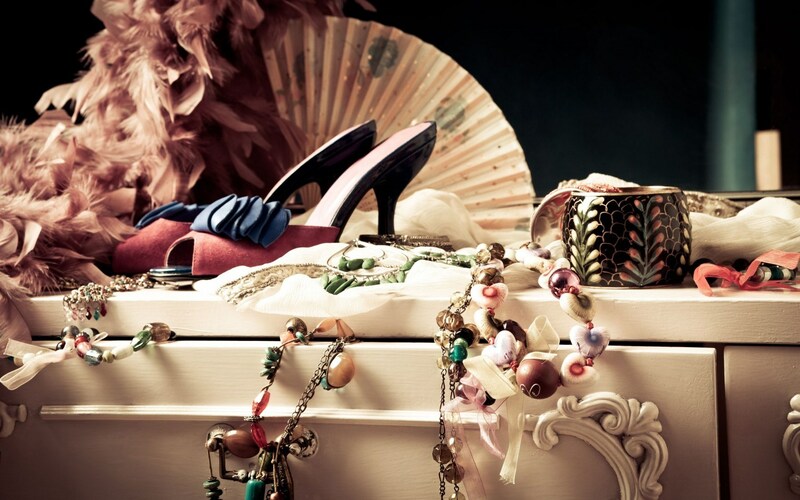 Without any doubts, accessories are something that can help you pull up a look. Whether you want to adorn an elegant traditional look, or it is about the sassy vibrant look for the day, a perfect piece of accessory can do wonders. Right from bold necklaces to delicate pieces of jewellery, trendy ear cuffs, cool rings, printed scarf, lady-like clutches and many more can fill your wardrobe with vogue. There is nothing as attractive as a girl channelizing the bold and authentic self. When nothing comes to your rescue, your real personality does make a stance for you. There are several role models in the fashion industry whom you can look up to, but when it comes to executing a particular look, don’t copy and just be the real you. Regardless of the style, you are adopting, just add a touch of real personality to it and you are good to step out into the world. Keep experimenting with designs, accessories, shoes, bags, and textures. Refabricate your own personality to achieve the most stylish look. While there are several things that can help you create your own aura, nothing beats the confidence and your personality. So, create a look that you feel suits you the most and showcase it like the badass diva.